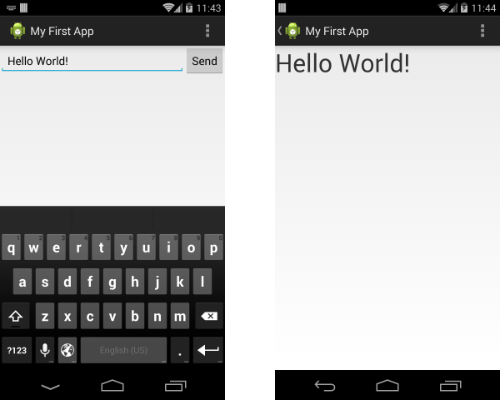 在Android Studio的java 目录, 选择包名 com.mycompany.myfirstapp,右键选择 New > Activity > Blank Activity. 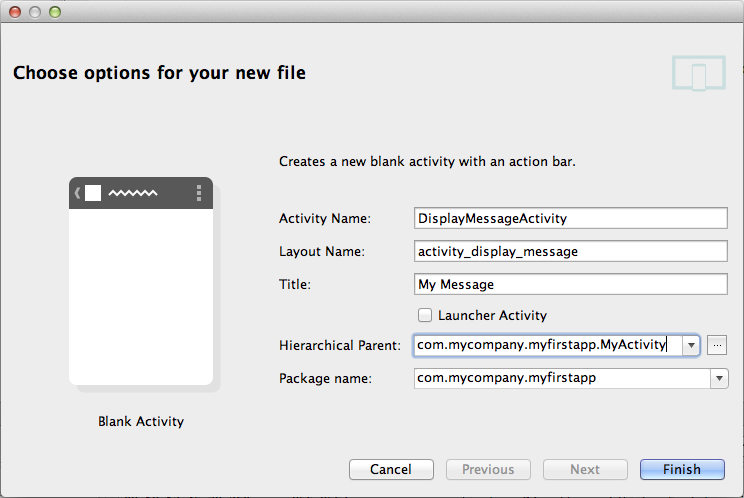 Package name: com.mycompany.myfirstapp </ul> 点击 Finish. 在Android Studio中，按Alt + Enter 可以导入缺失的类(在Mac中使用option + return). 4 调用 getStringExtra()提取从 MyActivity 传递过来的消息.